House Buyers – Who’s Legit? Let’s go into each of these in further detail so you know exactly what to watch out for in order to avoid a we buy homes scam in your market. I know I know, this might seem obvious. However, some fake house buyers might look to take advantage of you by asking for thing up front. This could include asking for deposits or property in order to take a look at your house, promising to buy your home if you give them something first, or other creative manipulations. Bottom line, Don’t Give Them Anything unless it’s outlined in a contract first. This is key to make sure you don’t get taken advantage of. If it’s in writing and both parties have signed the agreement, then you have a legal obligation to fulfill the terms of that agreement. Prior to signing, you have the opportunity to outline what both parties want and avoid any confusion about the transaction. Just review carefully to make sure there are no contingencies or property added to the agreement that you didn’t want to be added. If in doubt, contact your attorney. They will help guide you through the process and look out for your best interests. Make sure that the company you work with has outlined this up front, or ask it directly. You should never feel obligated to sell your home based on certain circumstances outlined by house buyers. It should be clear from the start that an offer will be provided with no obligation to sign or agree to sell to any cash house buyers. If you feel pressured or obligated to do something outside of anything that is formally agreed upon in a signed contract, go somewhere else. A legitimate home buyer will be honest and upfront with you about the process and will not pressure you with degrading sales tactics. Is we buy houses unethical? Sometimes house buying companies are truthful and ethical about things and sometimes they are not. So let’s clear some things up. Is we buy houses unethical, or truthful, can be answered in whether or not they are disclosing things up from and being honest with you throughout the process. So let’s get started on the right foot with the truth. 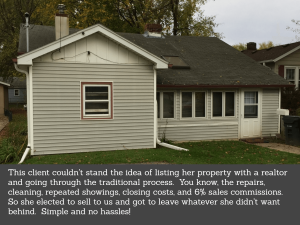 And the truth is…Selling your house to a home buyer will likely NOT net you the amount that you would be able to achieve from a normal real estate sale on the MLS with an agent. Why? It’s because there are holding costs, selling costs, and repair costs that need to be accounted for when buying a house. Whether the house is rented or resold, there will always be some costs. If a home buyer tells you they can beat what you could get with a real estate agent, 99% of the time they are lying to you. 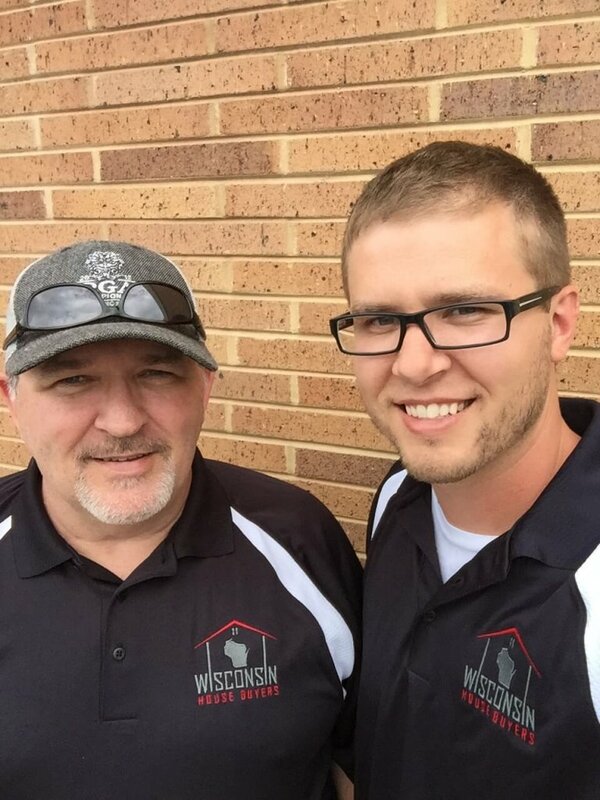 If those things are more important to you than getting the absolute most for your property, a reputable Madison housebuyer is potentially a good solution for you. Ahhh technology, how you have helped so many find the best providers. How you ask? Transparency from other people that have used a given service. In this case, look for house buyers reviews to help you discern which are the best choices. There are so many options these days for reviews that it gets a bit scattered and can be difficult to know which source to look at. A couple of the best places to search are on Google and Facebook. Other potential sources are BBB (if they have a profile), Bing Places, Yelp, and many more. It’s actually quite difficult to get reviews. More times than not, people do not review a service even if they were satisfied. So just having a couple should be an indication that the company has been in business for at least a year and has actually bought a couple of houses. Definitely keep an eye out for negative reviews about poor customer service, or of course shady dealings from the past. Though some complaints are not always legitimate, it’s still worth keeping in mind. Certainly, if there are more bad reviews than good reviews you should go elsewhere. Also look for a testimonials or reviews page on their site that might represent a compilation of several review sources. Yes, legit house buyers should probably have a social media profile. Let’s get back to Facebook since that’s the most common and easy to use platform for businesses and consumers alike. If you’re looking at companies that buy houses, go to their Facebook page and see if they look like an actual business. How do you know? Look for regular posts, updated pictures, a good amount of information about their business in the info section, customer reviews, and evidence that they are actively doing business or working on projects. Specific posting criteria might include project updates, market condition updates, links to blog posts, or perhaps even videos of walkthroughs or testimonials. If you don’t see some or all of these types of regular posts then you may want to consider another home buyer. It’s all part of doing business these days and it’s a great way to connect with customers and keep them in the know when it comes to their own services or related material. Now might be a good time to check out our Facebook page. Some industries require licenses. Direct housebuyers often times do not have licenses. Our team does not currently have any agents on it but we may at some time in the future. What you need to know is that a license is not required if you want to sell your home. Is it obvious that they have done this before? Does the company show regular updates on projects on their social media pages or have pictures on their site of various projects. This at least partially represents that they’ve been in business for a while and can actually provide a reliable solution for you. There’s evidence of actual follow through, not just talk. Don’t get me wrong, everybody has to start somewhere. Just because someone hasn’t done any deals yet doesn’t necessarily mean they won’t follow through. Quick Tip – If you aren’t sure they can follow through, you can always ask for certain terms such as proof of funds before you sign an offer to purchase agreement. This one matters to some more than others. It doesn’t necessarily speak to credibility or ability to follow through with the agreement. However, some of the larger national companies have developed a reputation for shady dealings. 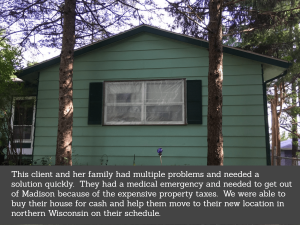 Then again, so have some local Madison housebuyers as well. Unfortunately, there is no perfect answer here other than to reiterate to do your due diligence prior to working with the company. Local does have the advantage of being more familiar with the area. This means you will likely receive a faster and better offer because a local house buyer will be able to more accurately assess your home and offer accordingly. Okay, got it. So what’s next? 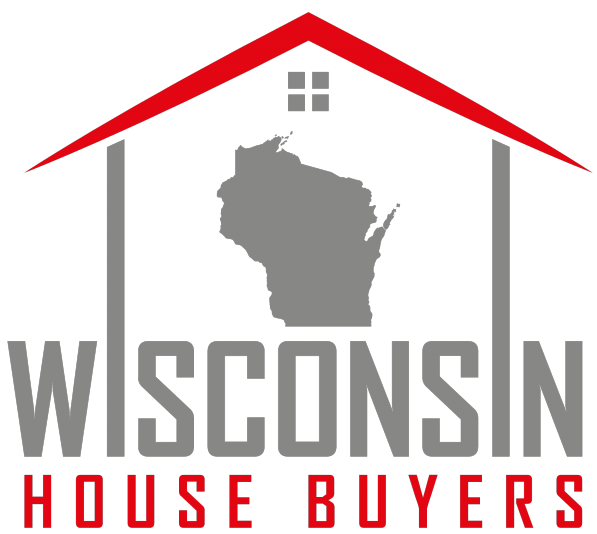 First, feel free to ask us any questions you have if you are considering selling to cash house buyers in Madison WI or Dane County. You can contact us here. Here’s an outline of how we do business and who we are. Or feel free to follow do your research on us or other companies and return when your comfortable and ready to sell. There’s no rush on our part unless of course, you are in a hurry. Here’s a quick form if you’d like to get right to it. Thanks for reading and happy house selling! !